With my collection of short fiction Paisley Shirt going to print shortly, I wondered if there were musicians also inspired by the same piece of clothing. A search of YouTube identified two tracks with my favourite being “Man in the Paisley Shirt” by The Kite Collectors from their 2013 album Mildred’s Tree. Known for well-crafted songs with a strong lyrical content, The Kite Collectors were formed in 2013. Hailing from the South West of England, the band takes their inspiration from the mod sub-culture, early psychedelia and garage rock. The resultant mix of influences and attitudes is a quality blend of infectious melodies and energy that literally fizzles in the ears. Imagine the love child of the Small Faces and the Kinks smacking their head against a wall whilst listening to Medway Garage Rock and the Who! You can find out more The Kite Collectors at Paisley Records. Using iMovie to develop my digital story titled ‘Journey’. Much of the following two days were spent in the computer suite, recording audio and video footage to develop and shape the material into a story. Using iMovie, I was able to intersect shots of still and moving images with speech and sound effects. The final product is far from perfect, but I learnt and enormous amount by being involved with the process. I have to thank the organisers for the professional support they offered in bringing my story to the screen. When ‘Journey’ goes online, I’ll post a link to YouTube so that you can see the end result. Further workshops will be held later in the year in Sheffield and Brighton. I look forward to attending the final dissemination of learning which will take place in Brighton in December. For further information about the project see the Reading on Screen Facebook group or the Reading on Screen project website. Apothecary is a monthly spoken word open mic session held at the Beach and Barnicott in Bridport. Run by Rob Casey, Ged Duncan, Tom Rogers and Sophia Moseley, it offers the opportunity for a range of writers to share their work in five-minute slots. Click on the link below to hear me reading my short fiction titled Burnt Toast. The next Apothecary night will be held on Wednesday 10 May 2017. Get there by 7pm for a 7:30pm start to secure your place to read. Enjoy other Apothecarian readings by watching Apothecary Cure on YouTube. You may remember back in January, I wrote a post about creative writing workshops which were held in rural locations around Dorset to promote creative writing. (You can read the post here.) The workshops were offered by steering group members of the Dorset Writers’ Network and encouraged participants to submit a 500 word story, based in Dorset, for inclusion in an anthology. This Little World is the result of hard work by all those involved. 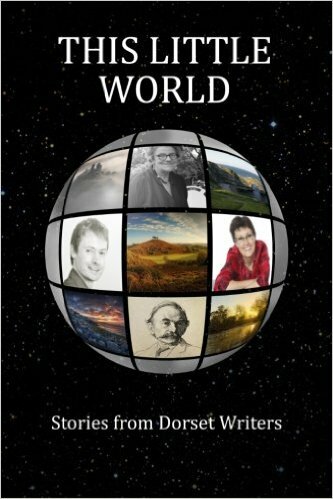 The stories in this anthology are by writers from 11-70 years. Each story is a real gem of no more than 500 words in length which celebrates the diversity of the county. The anthology is available in paperback through Amazon, click here for details. An ebook of the anthology will follow. Just when I thought I had to return to the office for three more days of work after taking leave next week, I discovered that I’m actually owed some days. As a result, my last day of employment with the County Council will be Friday and I’m madly trying to get everything done ready for a holiday in Edinburgh starting on Saturday. We’re flying from Southampton and taking hand luggage only, so decanting liquids has been the order of the day. Fortunately, the flat that we’re staying at in Stockbridge provides shampoo and shower gel, so it’s only face creams that I need to worry about. 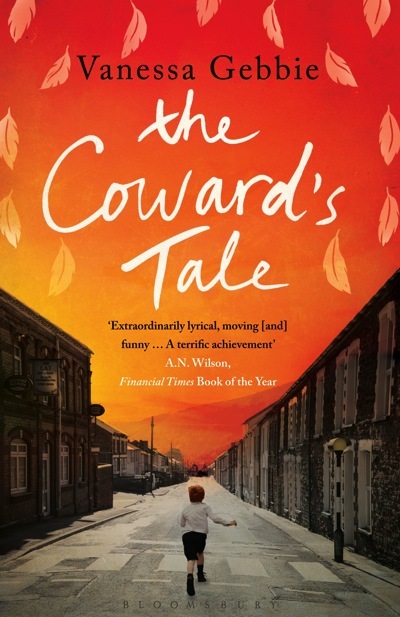 I’ve packed a couple of paperbacks including The Coward’s Tale by Vanessa Gebbie and The Polish Boxer (which was recommended by Sarah Bower) and you can read a review here. I’ve downloaded two audiobooks to my ipod: Catch 22 and The Unbearable Lightness of Being. So when I’m not attending sessions at the Book Festival or the Fringe I’ll have plenty to keep my busy. You don’t find many teachers complaining about their work during August and even though I don’t get school holidays working for the local authority, I am happy. This is because I have provided a good end to the service I’ve worked for during the last seven years. All has gone according to plan with the mainstreaming of good practice through training and partnership working. As I approach my final days, it seems that the voluntary sector are likely to be able to pick up some of the work through the development of a bid. As far as my future goes, I have a new job. It’s a one day a week appointment with an educational charity. I’ll be working with local schools to promote the achievement of the most vulnerable pupils including those with special educational needs and disability. I’m looking forward to the challenge of a new position and, as I’ll be working part-time, I’ll have more time to commit to writing. My creative writing studies start in October and I’ll have renewed energy by then. In the meantime, you might like to take a look at collaborative writing project that I was involved with, called ‘Hot Potato’. Artipeeps has brought together eight writers to develop one story. Take a look here. I recently had two stories accepted by Alfie Dog, an online publisher where you can download a whole range of stories in different genres. My stories are identified as commercial fiction and are titled Social Surfing and Wait There They only cost 39p each to download so I’d encourage you to take a look. Don’t worry if you haven’t got a kindle, you can always download the story as a pdf and print it off or read it on your computer. I’ll get the benefit of 50% in royalties if you do. While this is never going to make me rich, at least my stories are now of a standard to appear in paying markets. The other good thing about Alfie Dog is that they accept previously published work, so long as the copyright remains with the author. I’m very much into recycling and see this as a good way of enabling my stories to reach a wider audience. If you fancy submitting, the editor will provide feedback even if the story is not accepted and may suggest changes in order to resubmit. It’s certainly worth a go. Click here for submission details. Do you know of any other online paying markets? For some playful writing ideas, please see Robert McCrum’s Fifty things I’ve learnt about literary life. For a literary TV treat, don’t forget to watch Great Expectations on BBC1 at 9pm on 27,28 and 29 December. What are your writerly resolutions for 2012?